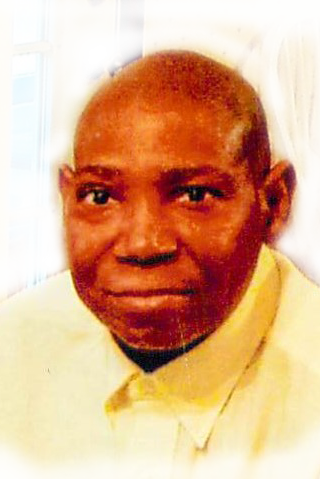 Provide comfort for the family of Alvin Southwood with a meaningful gesture of sympathy. Obituary for Alvin A Southwood Jr.
Alvin A. Southwood, Jr. was born on August 2, 1954 to the late Alberta Cross and Alvin Southwood in Jacksonville, Florida. He attended Jesus Christ Community Baptist Church. Alvin graduated from William M. Raines High School. Alvin was united in Holy Matrimony to Brenda Simmons in Folkston, Georgia; and to this union 2 children were born, Alvin Southwood III and Craig Q. Southwood. Alvin departed this life March 21, 2019. He was preceded in death by his parents; sisters, Priscilla Cross and Lenazy Millsap; brother, Leonard Cross. Alvin leaves to cherish his memories: his wife, Brenda Southwood; daughters, Natalie N. Jones and Valerie D. Strickland (Jack); sons, Alvin Southwood III and Craig Q. Southwood; sisters and brothers, Gustoria Cross Meadows (James), Camilla China, Sylvia Smith, Albert Cross, Alphonso Southwood, Alfreda Whitfield (Gartrell), Gustaver Cross, Charlie Cross (Felicia); and a host of grandchildren; great-grandchildren; nieces, nephews, cousins, in-laws and friends. To send flowers to the family of Alvin A Southwood Jr., please visit our Heartfelt Sympathies Store. We encourage you to share any memorable photos or stories about Alvin. All tributes placed on and purchased through this memorial website will remain on in perpetuity for generations. Provide comfort for the family of Alvin A Southwood Jr. by sending flowers. Our condolences for the death of Alvin Southwood, Jr. This is a time to reflect with appreciation the self-sacrificing love both Jehovah and Jesus show for all mankind, including Alvin. "For God loved the world so much that he gave his only-begotten Son, so that everyone exercising faith in him might not be destroyed but have everlasting life." (John 3:16) God wants Alvin to live, not die!